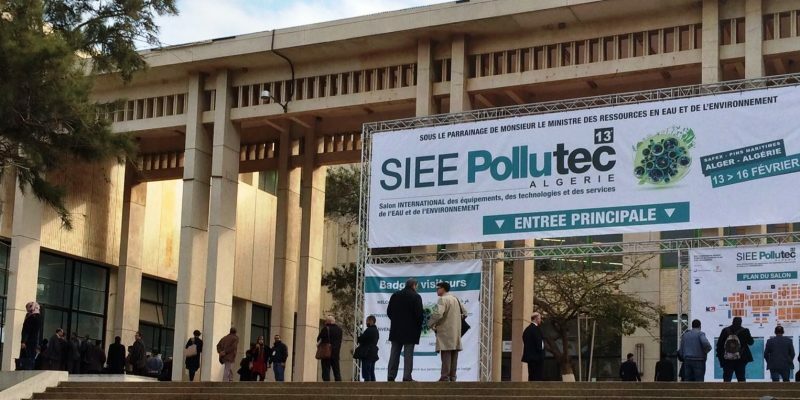 The 15th edition of the International Exhibition of Electricity and Water Technologies SIEE-Pollutec will be held in Algeria from February 11 to 14, 2019. SIEE-Pollutec will provide an opportunity for professionals to conduct strategic reflections on water and sanitation in order to improve the sector's performance. Its organisers present it as the largest water and environment exhibition in Africa. SIEE-Pollutec will also bring together 200 exhibitors and experts in water and environmental technologies from different continents. Their presence at the show will be an opportunity to inform visitors, to exchange with them and above all to present new findings in the water and environment sector; meetings that can foster partnerships for the future. Similarly, the exhibition will provide participants with the opportunity to obtain technical information to improve the quality of their services in the field. During the 4 days of the show, the themes around water (drinking water and wastewater treatment, water distribution, etc.) and other environmental issues will be discussed: polluted sites and soils, risks and risk management, health, safety and environment, waste, recycling and recovery, combating greenhouse gases, energy management and renewable energies, environmental management, etc. The exhibition is open to visitors from Monday 11 to Thursday 14 February from 10 am to 6 pm. Exhibitors will have access to it from 9:30 am. The official inauguration will take place on Monday at 10:13 a.m. Some of the themes on the programme. – Emergency water storage and distribution (humanitarian crisis, natural disaster, industrial accident…. – Industrial waste management: Challenges of the circular economy. SIEE offers a series of three forums: the International Forum on Infrastructure in the Water Resources Sector, the Forum on the Evolution of Industrial Waste Management towards a Circular Economy and the Forum on Mineral and Spring Water Quality. In 2018, SIEE-Pollutec attracted more than 6,000 trade visitors. The organisers hope to exceed this number in 2019. This year’s edition is an opportunity to discover the business sector and to establish partnerships in Algeria, a country that has invested €12,500 million to develop the water and sanitation sector over the period 2015-2019.